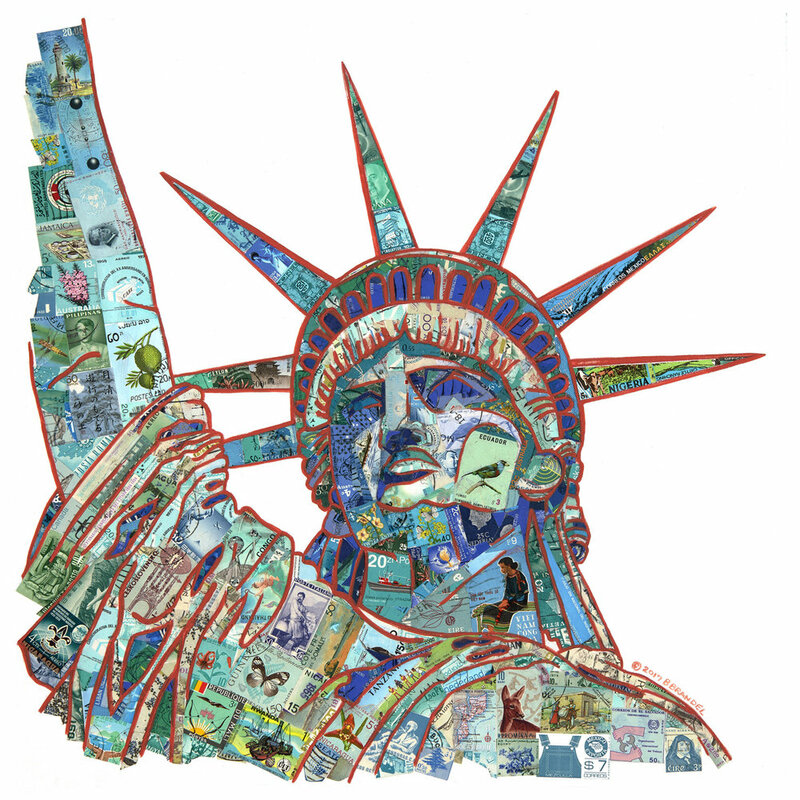 Barbara Brandel’s current work includes painted collages with recycled world postage stamps. Her art works are in collections throughout the U.S. and beyond. Postage stamps symbolize that the United States has long been a magnet for people from around the world who come here to live and work. Franklin Roosevelt’s 1941 speech defining The Four Freedoms (freedom of speech and religion, freedom from want and fear) remains a hopeful promise.